Bob Gold & Associates has been selected to manage corporate communication efforts for Fathom Events, a company that shows over 160 titles on more than 2,100 movie screens in 44 countries per year. The agency is tasked with helping to better communicate the “unique big-screen experiences” that Fathom Events provides. In addition to the TCM Big Screen Classics series, Fathom’s programming includes stage productions, sporting events and the Metropolitan Opera. The company says that events attract over five million viewers annually. Hawkins International Public Relations has been selected as agency of record for Inspirato, The Sebastian, Imago Artis and Pikaia Lodge. For Inspirato, which runs a membership-based destination club, Hawkins International will lead a strategic campaign to generate greater awareness of the brand through targeted media and influencer relations. 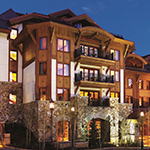 For The Sebastian, a boutique hotel and residence club in Vail, CO, the agency will work to gain media exposure for the property and its on-site amenities, including the Bloom Spa, Frost Bar and Leonora restaurant. Hawkins will handle media/influencer relations and strategic media visits for both Imago Artis, a luxury hospitality company, and PIkaia Lodge, a 14-room property in the Galapagos Islands. Cindy Riccio Communications has been selected as agency of record for KISS Hair Tools. CRC is now running PR and influencer campaigns for KISS, which markets a line of products that the company says “mend the gap between product and accessory, with both their dependability and appearance.” The agency has worked on creating video tutorials from influencers Vale Loren and Marikh Mathias, generating one million impressions. D&D PR is now working with Bankside, a new 161-room hotel located on London’s South Bank, near the Tate Modern, British Film Institute and Borough Market. D&D is working to introduce the property in the US market, generating awareness among key audiences, and raising its profile among affluent consumers. The agency is also focusing on the travel trade community, with coverage in industry-specific media. Part of the One Blackfriars mixed-use development, Bankside will include live-work lounges, “white cube” gallery space, and a restaurant and bar with outdoor terrace.